Soak the rice in water and set it aside for 30 minutes. Soak the almonds and cashews in hot water and set it aside for 30 minutes. Soak saffron threads in two tbsps of milk and keep it aside. Drain the water from rice and grind it to a coarse paste. Drain the water from soaked nuts, peel the almond skin. Grind almond and cashews to a paste. Heat a pan, add 4 cups of milk and bring it to boil. Allow the milk to boil in medium flame till it reduces to 3/4 of quantity. Now, add the rice paste to the milk and start stirring continuously to avoid the lumps. Keep stirring the milk and boil till it becomes a porridge consistency. When the consistency is thick like a porridge, add sugar. Add saffron thread milk and almond-cashew paste. 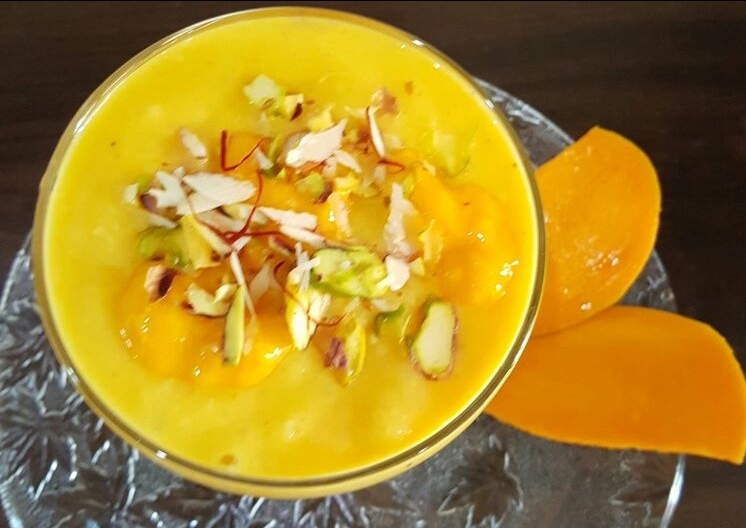 Switch off the flame and allow the phirni to cool completely. 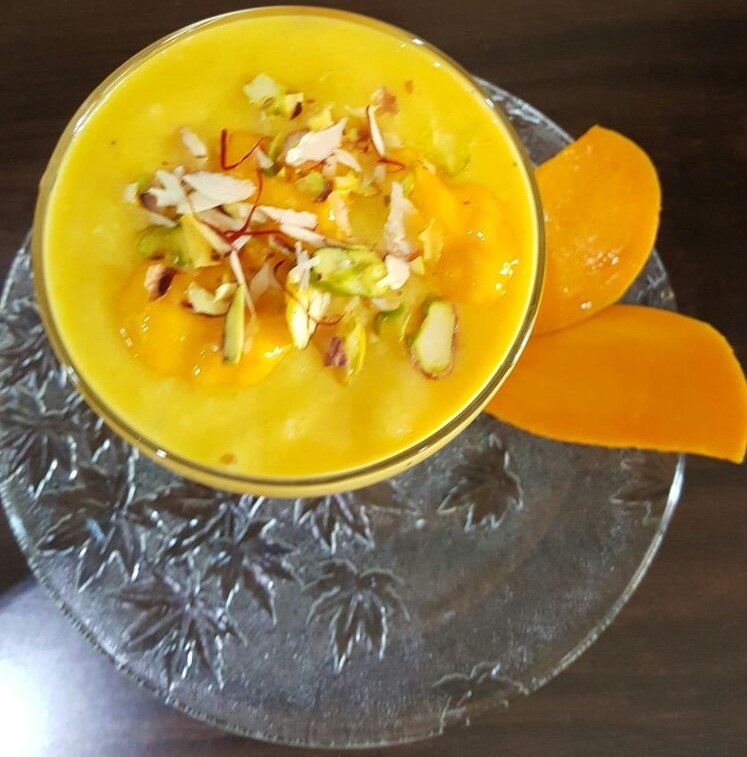 Once the phirni is cooled, add the mango pulp and mix well. Garnish with nuts and refrigerate for about 2 hours.